Thomas Dolan, the principal of Thomas Dolan Architecture (TDA), based in Oakland, CA, is an architect, landscape and urban designer and development and code consultant. 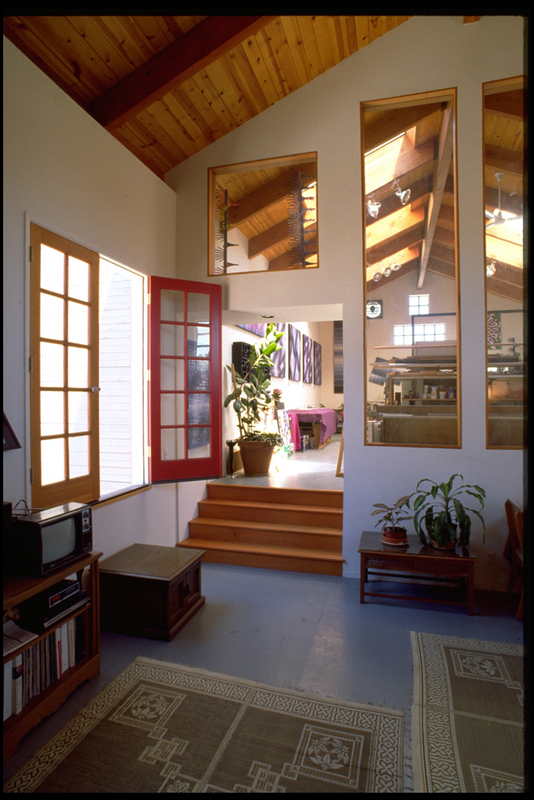 Since 1986, when he designed the first purpose-built live-work complex ever constructed in the United States, his practice has been focused on this hybrid building type, during which he has initiated the creation of at least one building type, the New Construction Infill Live-work Courtyard Community. Increasingly, projects designed by Thomas Dolan Architecture (TDA) are set in a larger context, i.e., walkable, mixed-use communities. In addition to his design, planning and development consultation work, he has lectured, written, and served on committees and advisory boards with the aim of furthering mainstream understanding and acceptance of live-work. Live-work in Plain English, an online interactive guide to Oakland’s Live-work Building Code (which Thomas Dolan was instrumental in creating). Aimed at developers, architects, artists and owners, it walks the reader through the live-work development process from start to finish, and can be found at www.live-work.com/plainenglish. Additionally, Thomas Dolan has consulted with the cities of Emeryville, Berkeley, Richmond, Sonoma, and Orange County in California, and Vancouver, B.C. towards each jurisdiction’s efforts to regulate live-work. The latter resulted in the production of Work/Live in Vancouver, a comprehensive treatment of proposed planning and building regulatory policy for that vibrant Canadian city, including detailed code provisions. In 1998, Thomas Dolan created the first website devoted to collecting and disseminating information about live-work, a hybrid land use and building type. Found at www.live-work.com, the site presents common principles and definitions for the different types of live-work, in an effort to help developers, regulators and designers avoid “reinventing the wheel” each time live-work comes to a new city. This creation represents a first step toward what Live-Work Planning and Design: Zero-Commute Housing sets forth in far greater detail. His efforts to help fellow members of the Congress for the New Urbanism to understand live-work are a consistent focus in his work, and this involvement will doubtless lead to further collaborations in the future. Tom attended the University of Pennsylvania, receiving degrees in architecture and landscape architecture in the mid-1970’s. His greatest influences at Penn were Ian McHarg, Louis Kahn, and Edmund Bacon, who served as a close mentor to Tom. Over the years, his projects have been widely published and have received numerous design awards.